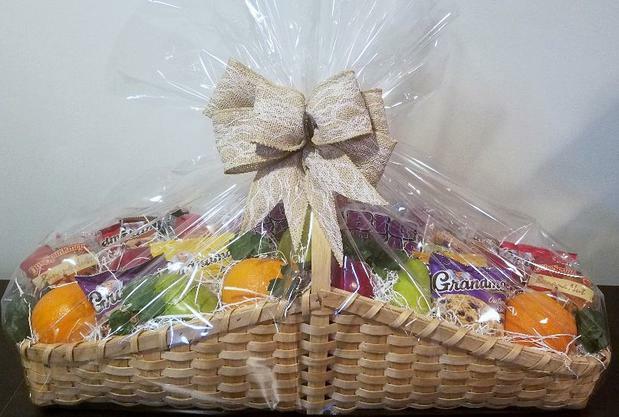 For so many occasions, a basket full of fresh bakery can be the perfect gift. 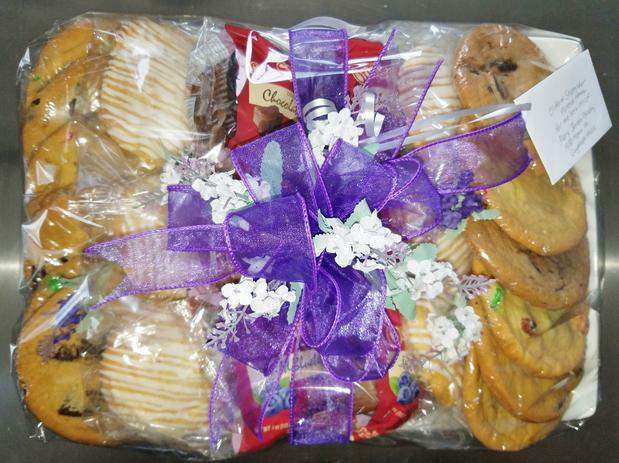 Our bakery baskets include jumbo fresh cookies and jumbo muffins; deluxe size can include danish and cinnamon rolls, too. We can also add fresh fruit, coffee, tea or hot cocoa, and we are happy to customize to the best of our ability for you. Please indicate in your comment section whether you'd like fresh fruit included or not. Other sizes and prices available on special order. These are the gifts people remember.